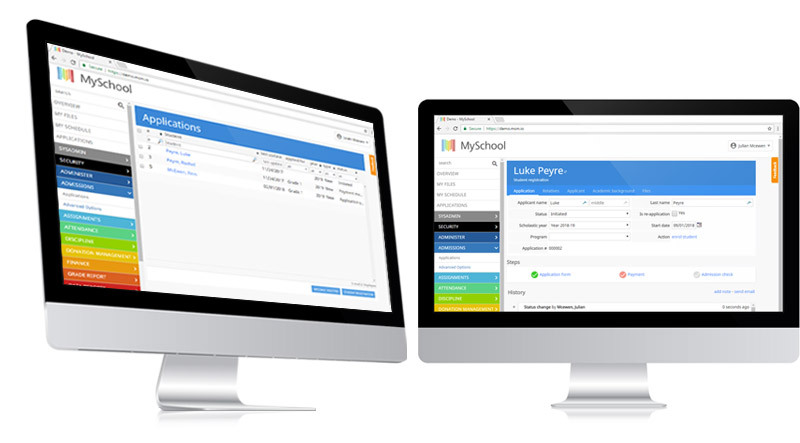 MySchool makes the admissions and enrolment process simple and stress free for school staff and parents alike. Remove the time consuming admissions burden of filling in lengthy paper forms, manual filing and duplicate copies. Collect all student details accurately and efficiently by giving parents and guardians an easy to use parent portal to easily create and submit applications for their children. Administrators easily review, process and track applications from one screen with the ability to see the status of all applications at a glance. Applications can be further filtered using search or criteria like application stage, new applications, re-enrolments and much more. 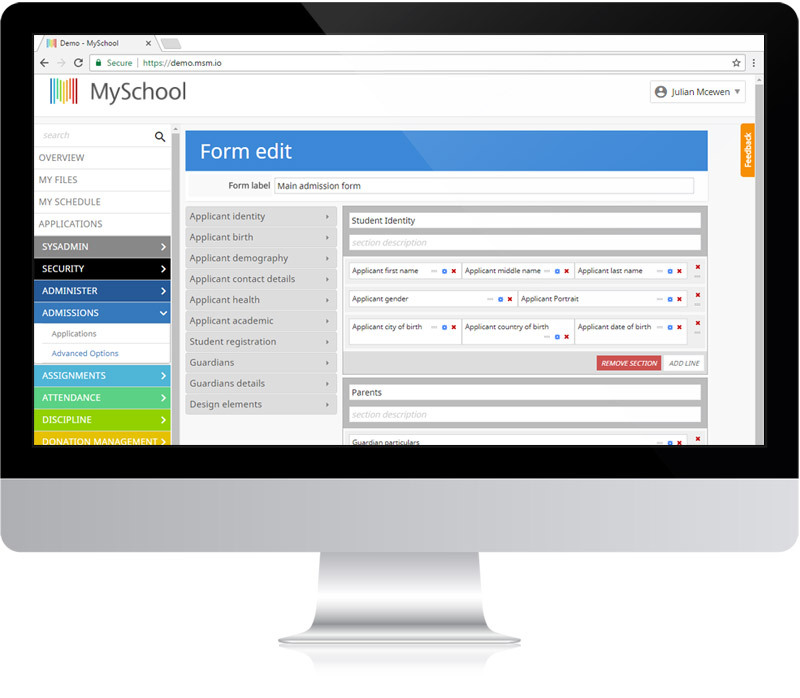 Build custom forms and application workflows that compliment your admissions process. Use our drag and drop form builder to create precise forms which capture only the information you need. Create forms for different stages of the process and deploy them with powerful workflows. Customisable workflows allow you to streamline and track each stage of your enrolment process. Need to take payment or add a review step to the process? Just add a new step, choose who can see it, set it’s status and send custom notifications when it’s triggered. Managing enrolments and re-enrolments has never been easier or more reliable.